Thomas is the founder and curator of the Radio Spectrum Archive. He has been a passionate supporter of shortwave radio and international broadcasting most of his life and publishes a news site on these topics called The SWLing Post. He has written for a number of radio communications publications including The Spectrum Monitor, Popular Communications, The World Radio and TV Handbook, Radio World Magazine, DX Magazine and others. Thomas is the founder and curator of The Shortwave Radio Audio Archive (SRAA); an extensive collection of off-air recordings dating back to the 1950s which are shared with the world on the SRAA website and through its podcast. Thomas is also the founder and director of radio-based charity, Ears To Our World. Guy Atkins has been a radio enthusiast since 1970. His pursuit of tropical bands DX targets slowly migrated over the years to chasing foreign medium wave stations–while on regular DXpeditions to the beaches of Oregon and Washington. Guy was a staff editor and author for the highly popular “Fine Tuning’s Proceedings” series of books in the 1990s. He has also published receiver and antenna reviews for the IRCA and ODXA club bulletins, and DXing.info and DXer.ca. Guy is a Sr. Graphic Designer for T-Mobile and lives near Seattle, Washington. He’s a regular contributor to the Shortwave Radio Audio Archive‘s companion site, the SWLing Post. Mark Fahey lives in Sydney, Australia. He is fascinated by the role of broadcasting and media in reflecting and capturing the culture and pulse of communities. Mark leads a series of projects that record and analyse the media’s role in creating and shaping of public opinion and strengthening of society. His other current projects include Behind The Curtain a study and analysis of the role of the mass media in North Korea, Satdirectory that documents the use of geostationary satellites across the Asia-Pacific, and MediaExplorer, a virtual guide to free-to-air digital satellite reception of information about remote lands and intriguing cultures. Victor Goonetilleke became fascinated with shortwave radio in 1960 following the run up to JFK’s election. A serious radio DXer since 1966, Victor began professional broadcast monitoring for International Broadcasters. Victor formed the first DX club and serious DX news as Union of Asian DXers. Victor is passionate about shortwave broadcast and mediumwave DXing with a great love for propagation studies. Victor did the Asian DX Report over Radio Netherland’s Media Network for 24 years and reported DX news to DX clubs and programmes. Victor is a contributor to the World Radio TV Handbook. Victor has been an active ham radio operator with the callsign 4S7VK. David Goren is a radio producer, and audio archivist whose work blurs the line between audio documentary and sound art. Grounded in intensive monitoring of global broadcast culture, he ponders radio’s ability to create and support community over long distances. David has created radio-inflected programming for KCRW, NPR’s Lost and Found Sound Series, On the Media, Afropop Worldwide, and Jazz at Lincoln Center, as well as audio-based installations for Proteus Gowanus, radioCONA, the Ethnographic Terminalia Collective and the Megapolis Festival. In 2003, he founded the Shortwave Shindig, a multi-hour live mix incorporating spoken word, musical performance, radio tuning, and archival sound. In 2016, David was an artist in residence at Wavefarm collecting SDR band captures for his project “Signal Persistence Along the Greyline Path.” He is also one half of the shortwave radio jam band, The Propagations, with Ned Sublette. London Shortwave is a radio archiving project run by a radio enthusiast based in London, UK. Since July 2013, he regularly explores and records various parts of the shortwave radio spectrum using a small selection of receivers. His criteria for radio equipment are inexpensiveness and high sensitivity, as well as portability (for lightweight outdoor operations to escape the urban noise) and robustness to man-made interference (for indoor reception). 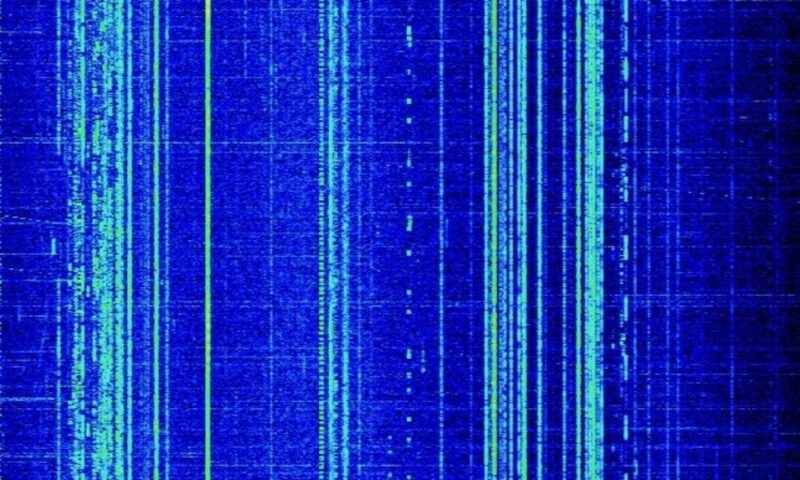 See londonshortwave.com for more information.